"Ceramic and Fired Art Studio" Where YOU are the featured artist! 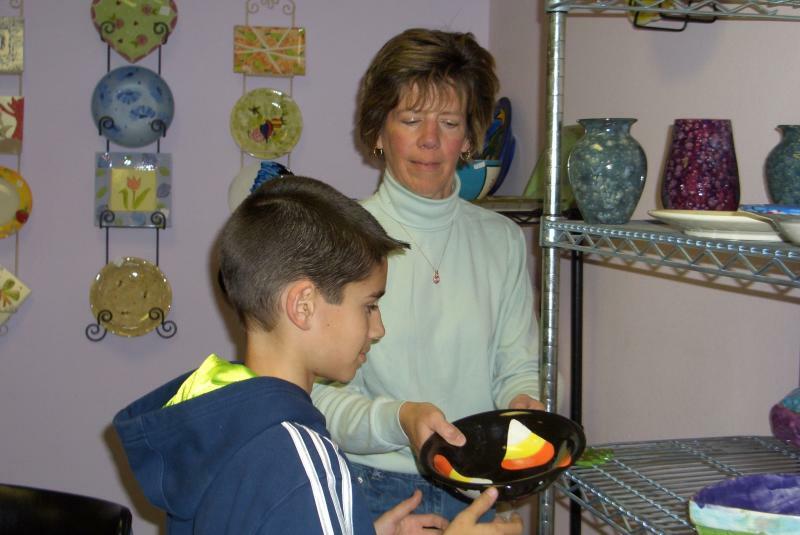 China Towne "Ceramics & Fired Art Studio"
China Towne is owned by Kim Rapps, and has been in operation since 1998. After about three years as a customer at China Towne, Kim took over as owner. Kim has been a resident of Springfield for over 30 years and has interests in many types of arts and crafts, and also enjoys cooking, gardening, and keeping up with her family of cats. 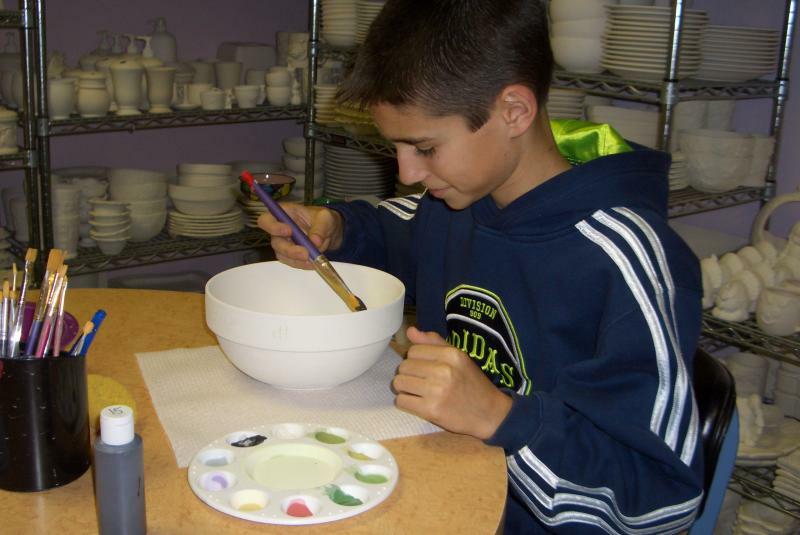 China Towne's mission is to provide an comfortable atmosphere for you to come and create your own works of art. No matter the size of your project, we'll be there to help as needed. We want you to feel welcome in our studio and will offer assistance when it is needed or if you prefer, just let you sit down, relax and enjoy the painting experience. 1. Choose your piece. It has already been cleaned and is ready to paint. We have a large selection of pieces to select from. 3. Choose your colors. We have over 70 colors to choose from. The possibilities are endless! 4. Paint your piece. We're there to help you through your project. 5. When you're finished painting, leave your piece with us. We will glaze it and fire it. You can pick up the finished product one week later. While there are some ceramic pieces that always stay the same, there is always something new that is made available. 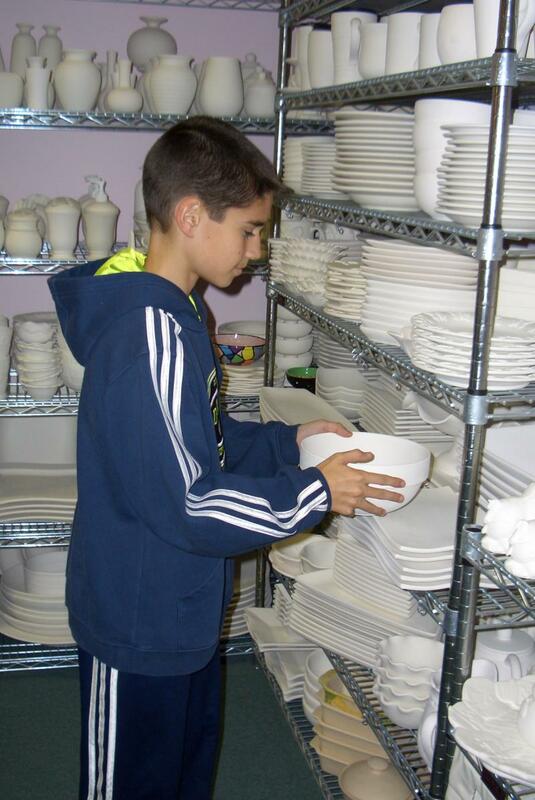 We try to bring in new techniques, designs, colors and have an always expanding selection of pottery. Copyright 2013 China Towne "Ceramics & Fired Art Studio". All rights reserved.